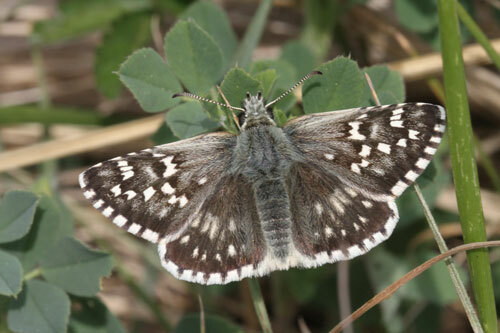 This is one of the larger and more conspicuous species in this group. 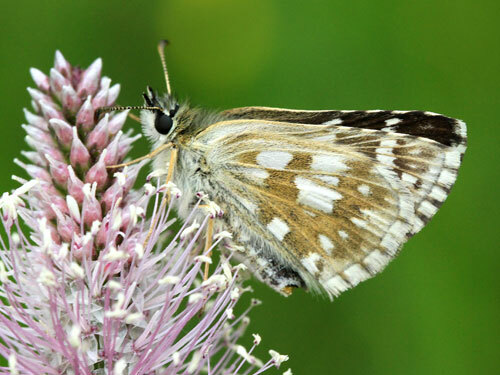 And also one of the easiest to identify. 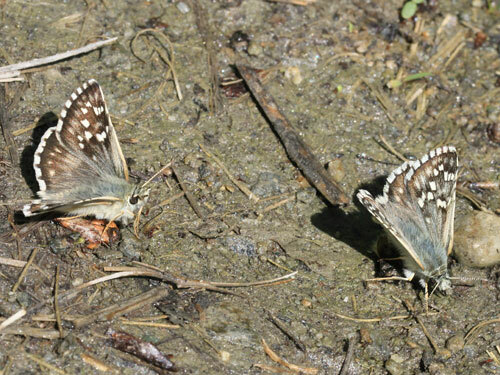 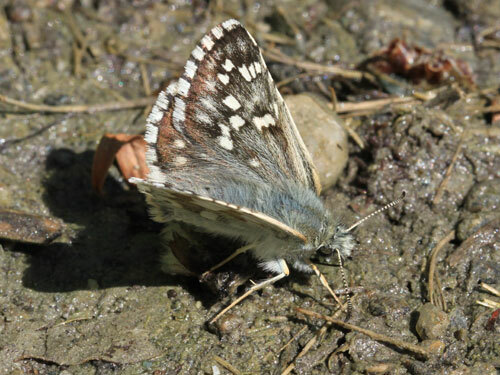 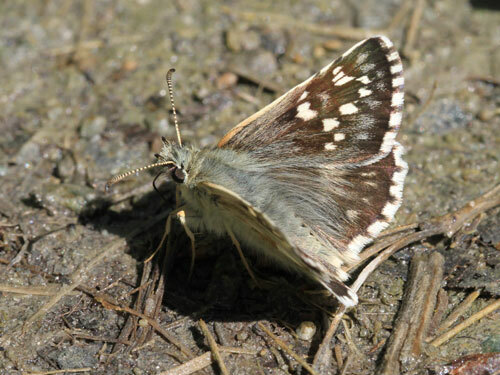 Identification & Similar species: The underside hindwing has a marbled effect and the marginal area is white along its whole length, the greenish/ reddish ground colour does not reach the edge of the wing. 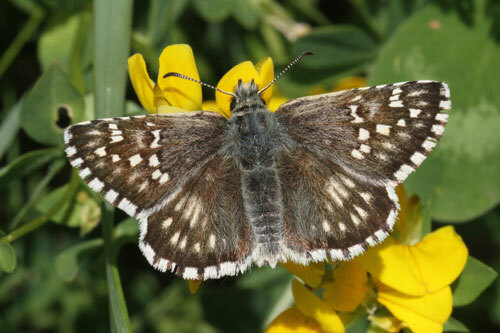 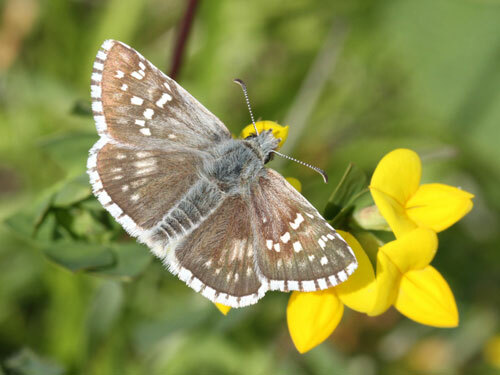 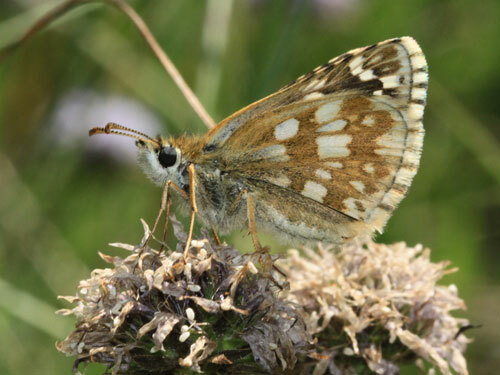 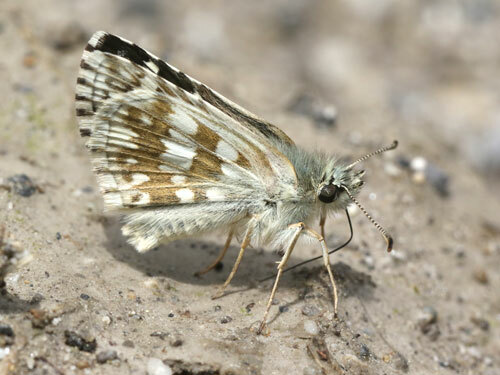 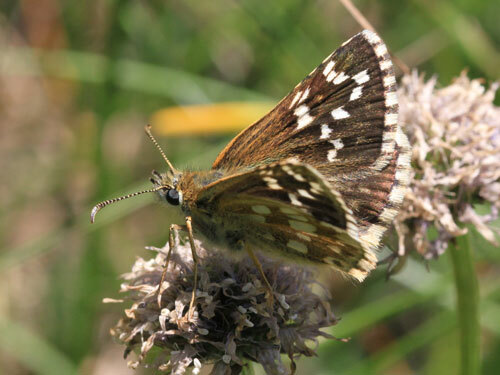 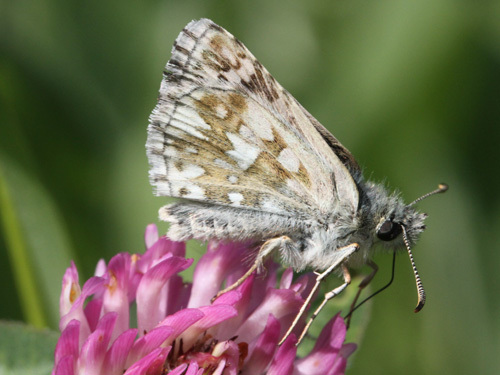 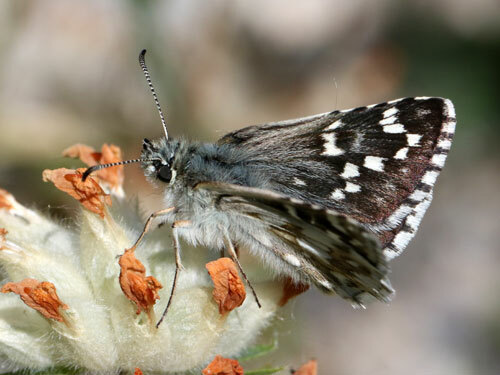 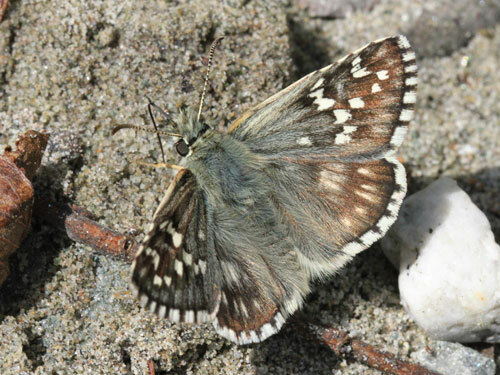 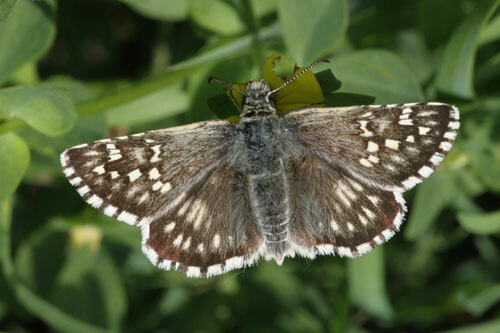 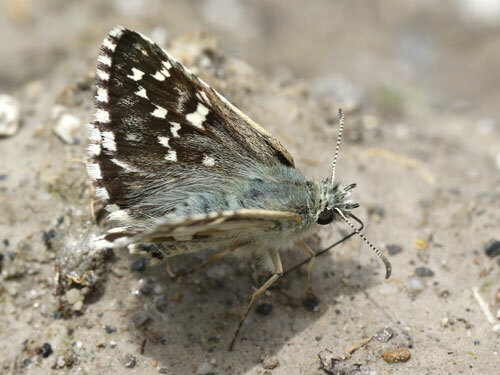 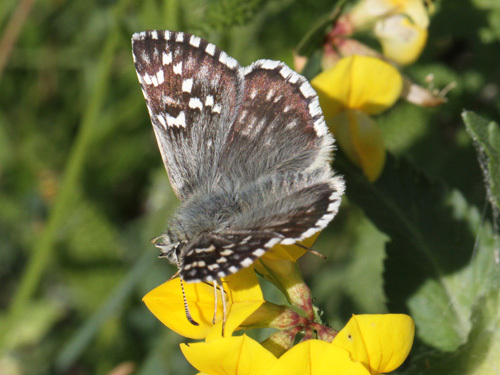 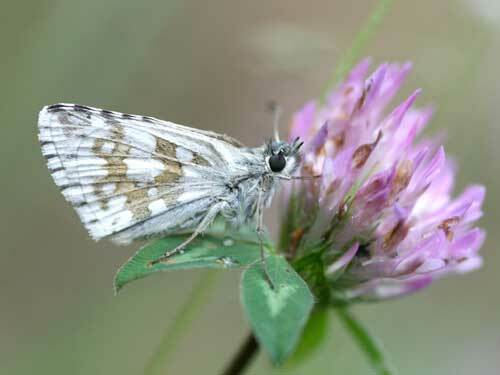 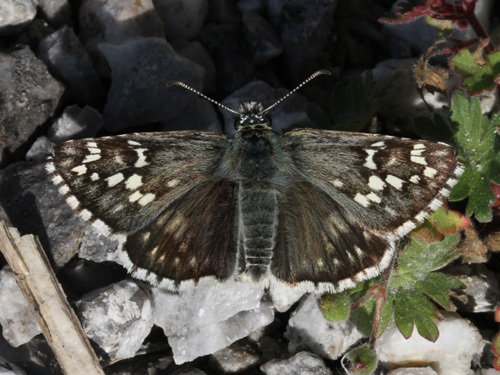 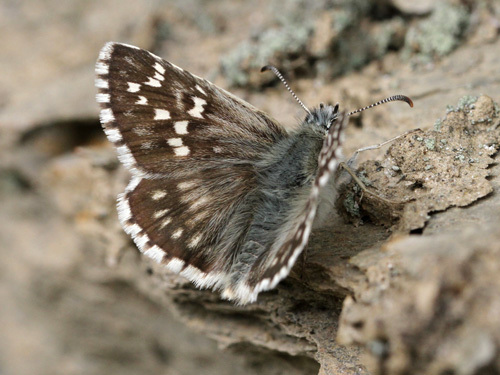 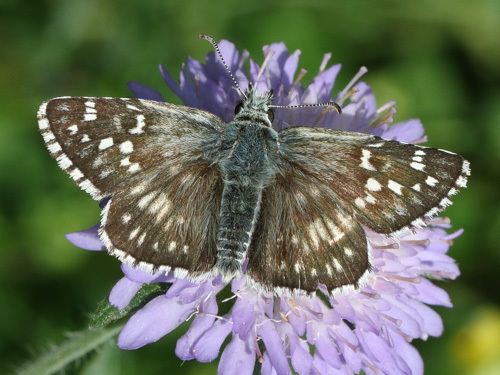 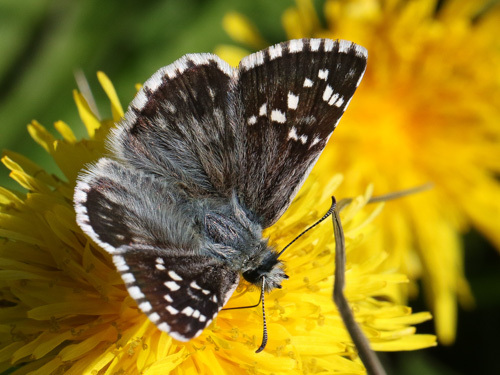 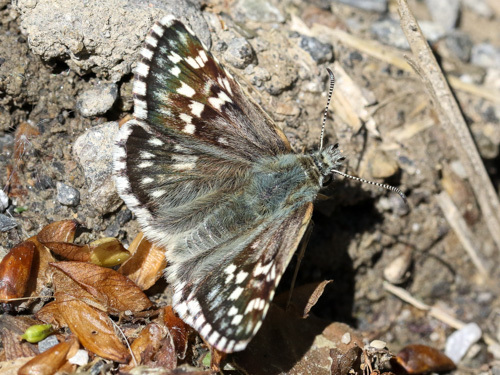 The upperside hindwing has well developped markings, consisting of two rows of spots or streaks. 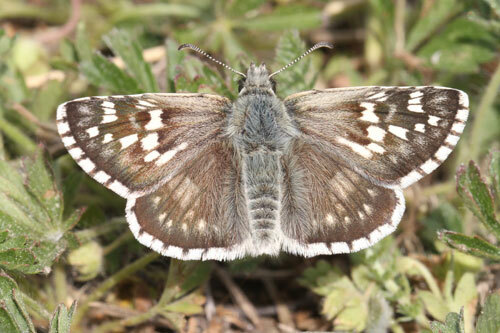 The cell spot on the upperside forewing is almost always in the form of a greek capital sigma. 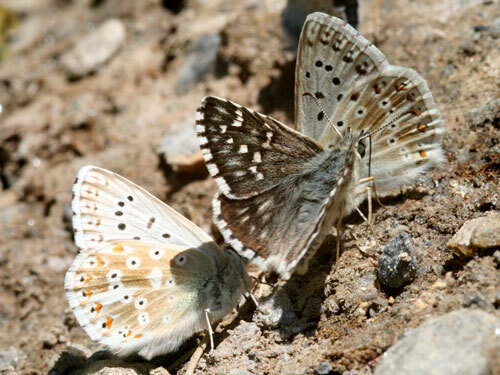 Distribution & Flight: Throughout southern and central Europe, although absent from north Africa and peninsular Italy. 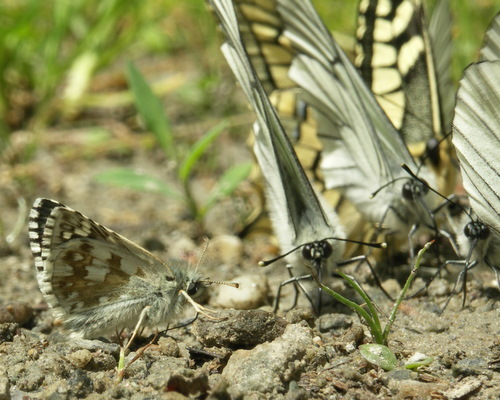 Flies from June to September. 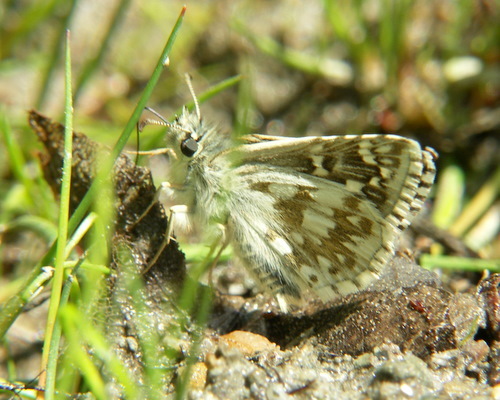 Habitat & Behaviour: Hot grassy meadows, usually rocky and may be with light scrub. 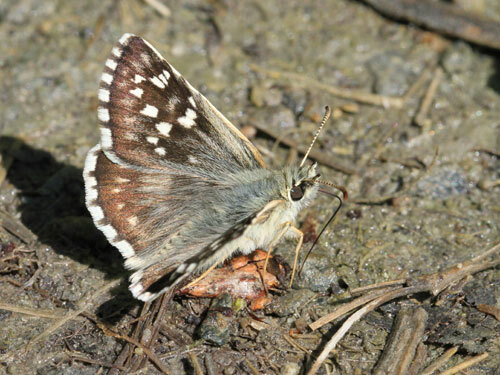 Flies fast and low when it is quite easy to spot and track, unlike some of its similar species, although getting close to it is another question.